At West Coast, we’re the first restaurant in Sweden to use the “Svenskt kött” label of origin on our menus. 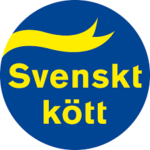 The “Svenskt kött” label is a voluntary label of origin which means that 100 per cent of all meat ingredients in the product come from pigs, cows, sheep or lambs which were born, reared, slaughtered and butchered in Sweden. The label also shows that the animal was reared in Sweden in accordance with Swedish animal welfare legislation – the world’s most comprehensive legislation.